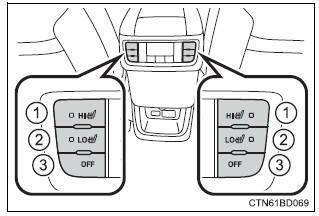 The heated steering wheel and seat heaters heat the side grips of the steering wheel and seats, respectively. 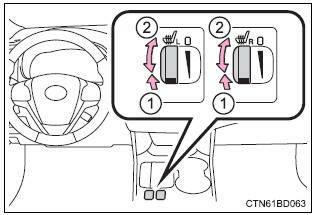 Seat ventilators maintain good airflow by blowing air from the seats. 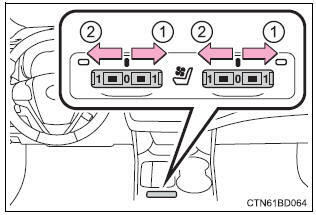 Do not cover the seat with a blanket or cushion when using the seat heater. Do not use the seat heaters more than necessary. To prevent battery discharge, do not use the functions when the engine is stopped. 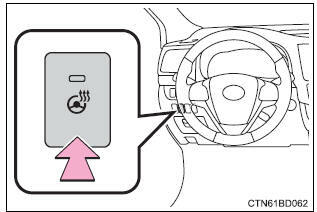 The indicator light comes on when the heated steering wheel is operating. Turns the seat heater on the indicator light comes on. The higher the number is, the warmer the seat becomes. Blows air from the seat the indicator light comes on. The higher the number is, the stronger the airflow becomes. Seat heaters turn the dial fully backward. The indicator light will turn off. seat heaters/ventilators set the knob at "0". The indicator light will turn off. The indicator comes on when the second seat heater is on.